We were invited to showcase our STEAM room at the Teaching Councils annual Festival of Education, Feilte, which celebrates the wonderful work that teachers do every day in their classrooms and gives teachers the opportunity to collaborate and share this work with each other and with the wider public.FÉILTE 2017 took place on 7 October 2017 in the RDS, Dublin with almost 1,000 teachers and members of the public in attendance. A number of our bots were packed up and brought up to Dublin where they were displayed on a table in the showcase hall. We also help a workshop on the use of our resources in the classroom and how they can benefit the children. Here, we had teachers ask us about the resources and how they could incorporate them into their teaching. It was a brilliant day for Lacken NS and all involved. Science week is a regional Festival celebrating, exploring and promoting the wonders of science, technology, engineering arts and maths (STEAM) in our everyday lives. We were invited to attend the festival and showcase our STEAM room. People came along to Johnston Central Library to explore and learn science technology engineering and maths in a new way. They learned about the quality teaching and learning we have in our STEAM room and how it is often pupil lead. 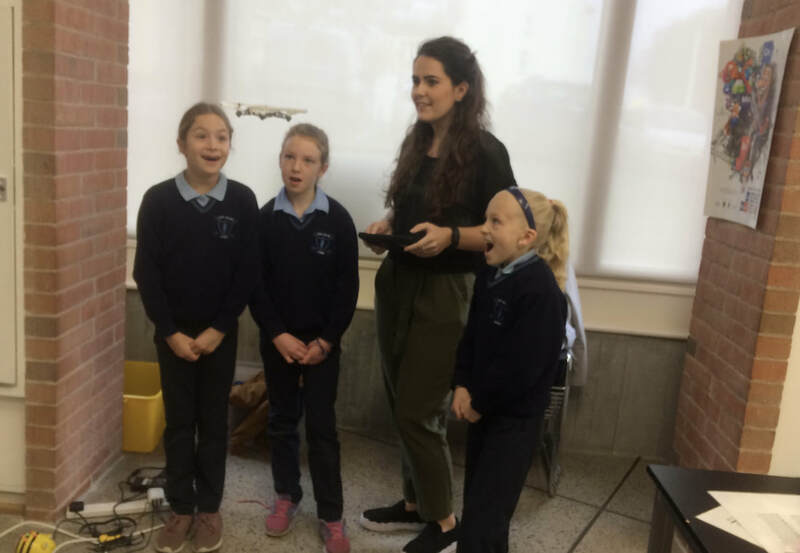 We had a some of the children from 3rd-5th class come to the Festival and show attendees how to use the different bots. The children were to explain how the different bots worked and how to control them to people who had never seen them before. This was a huge learning opportunity for the children who came. We brought our STEAM room to Dublin castle to showcase what we are learning. While we were there we were lucky enough to meet Enda Kenny.